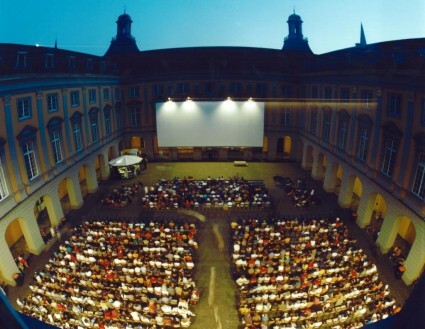 Germany’s silent film festival Bonner Sommerkino returns to Bonn 13-23 August. The programme seems to get more eye-catching each year, and this time around highlights include the recently discovered oldest surviving Korean feature film, Cheongchun’s Sipjaro (Crossroads of Youth) (1934), Victor Sjöström’s Klostret i Sendomir (1919), a rare Mexican silent, El Puño de hierro (1927), everyone’s festival favourite Bardelys the Magnificent (1926), and Louise Brooks in William Wellman’s Beggars of Life (1928). The starry line-up of musicians includes Neil Brand, Stephen Horne, Günter Buchwald, Joachim Bärenz, Aljoscha and Sabrina Zimmermann. Italy 1914, Marcel Fabre, 6 Min. France/Germany 1927, Augusto Genina, 97 Min. Sweden 1919, Victor Sjöström, 76 Min. Mexico 1927, Gabriel García Moreno, 77 Min. France 1928, René Clair, 62 Min. USA 1921, Gregory La Cava, 56 Min. USA 1914, Charles Chaplin, 15 Min. USA 1928, William A. Wellman, 100 Min. Germany 1922, Ernst Lubitsch, 103 Min. Austria 1923, Raymond Dandy, 27 Min. USA 1920, Hal Roach, 25 Min. USA 1927, Gregory La Cava, 80 Min. Japan 1929, Yasuji Murata, 10 Min. USA 1925, Allan Dwan, 78 Min. Croatia 1935, Oktavijan Miletic, 11 Min. UK 1928, Manning Haynes, 90 Min. USA 1928, Charles Reisner, Buster Keaton, 71 Min. Japan 1933, Mikio Naruse, 72 Min. Korea 1934, Ahn Jong-hwa, 74 Min. USA 1925, Frank Borzage, 78 Min. Germany 1926, Berthold Viertel, 2 Min. Germany/USSR 1929, Fedor Ozep, 120 Min. Germany 1925, Hanns Walter Kornblum, 92 Min. USA 1926, King Vidor, 90 Min.